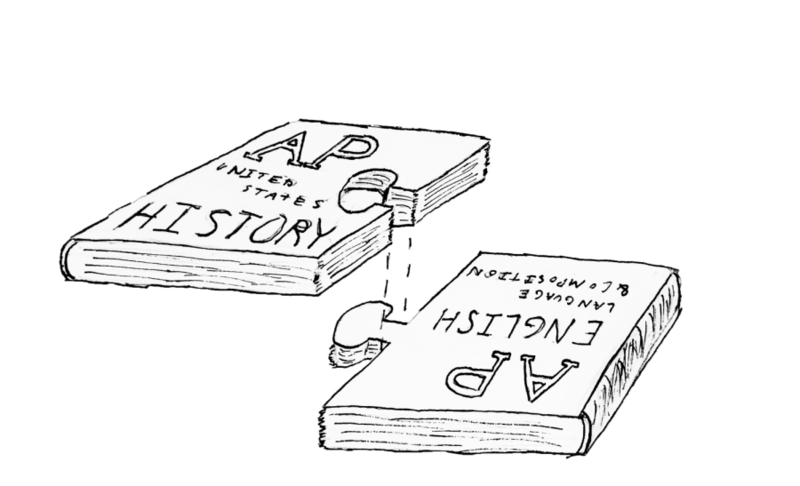 New junior year AP course pilots the “blocked” humanities model. This September, two of Garfield’s most difficult junior-year classes were combined into the school’s first ever AP humanities block. Proposed and taught by Garfield teacher Nathan Simoneaux, the new block combines AP United States History and AP English Language in a two-period class. This allows for assignments that span skills from both disciplines, a benefit that was one of Simoneaux’s main motives for proposing the block. Though the course has only existed for two months, it has already gained a reputation for being extremely challenging. To Simoneaux, however, the demanding coursework is a sign that the class is working well. Though Simoneaux was one of the foremost supporters of ninth-grade Honors for All, an initiative which placed all students in the same humanities classes regardless of ability level, he does not believe that his AP humanities block is suited to all students. He views de-tracking measures as less necessary for upperclassmen.